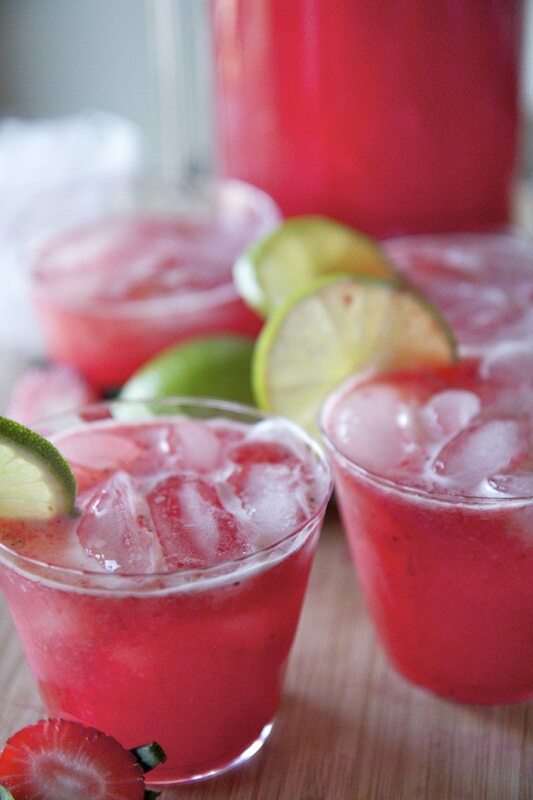 OMG I LOVE this strawberry margarita punch so much! Ok I LOVE margarita ANYTHING! Maybe it’s the hidden lush in me, but I can down about 4 cups of this stuff back to back. It’s so good and refreshing. 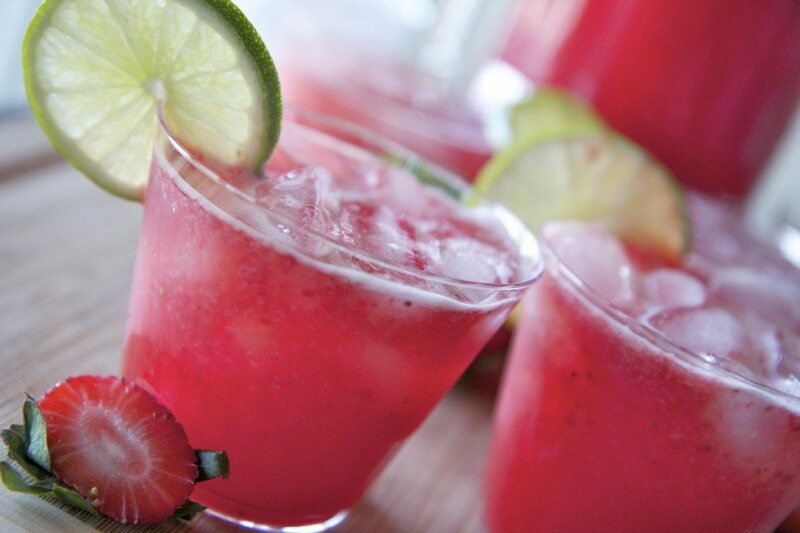 Sweet, tart, fizzy, and full of delicious strawberry margarita flavor! 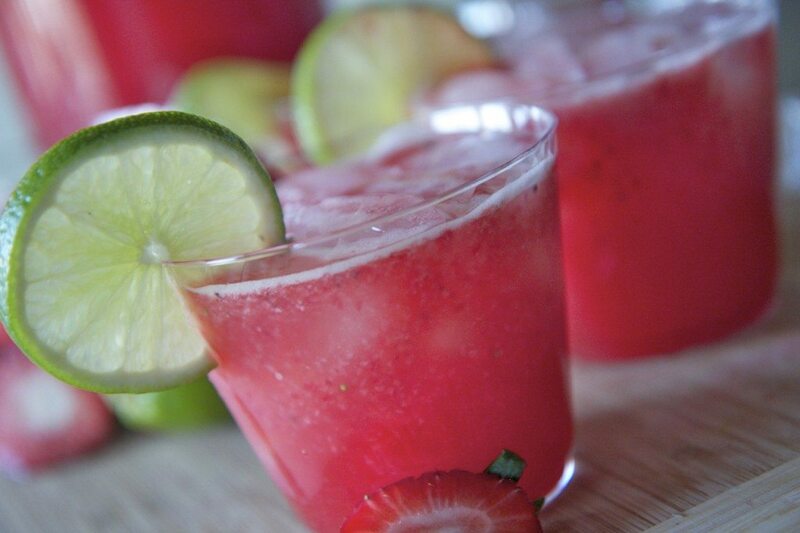 Be warned though, this strawberry margarita punch is…how do I say this…dangerous!! The alcohol really hides well in this stuff (especially if you make it the day before) so it’s super easy to not even realize you’ve drank way to much until BAM! There you are naked…on a bar… with a Vikings hat on…….doing some weird Irish step dance. This stuff will sneak up on you and fast. The beauty of this punch is that you can pretty much use any kind of berry-soda combination that you want to make a margarita-ish tasting punch. I’ve only used strawberry, raspberry and blackberry so I can’t vouch for any other flavors. Peach is on my list this summer though. Yes ma’am! You can strain the strawberry puree if you don’t want the little black seeds floating in your drink. I leave them in there though because I think it looks cool and the little seeds are kinda fun to chew on when you catch one in your mouth. 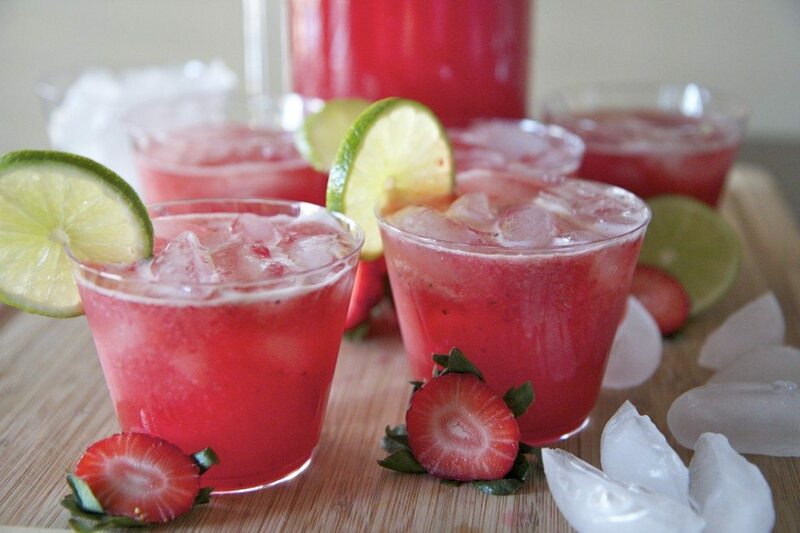 Watch me make this Strawberry Margarita Punch from start to finish! Want more fizz? Use sparkling water and serve it the day you make it. The strawberry flavors of the punch taste stronger the next day, but the taste of alcohol is pretty much nonexistent the next day so keep that in mind, depending on what you're going for here. How many people did you make this for? I made this tonight. Made it Jose Cuervo Gold and triple sec. I cut back the amount of water to only what I needed to blend with strawberries and added a lot of ice to the bowl instead. Only did one cup of Tequila. And did Sunny D instead of OJ. Still very awesome. Have you tried any other brand of liquor or is there another brand of liquor that you know of that I can try. I wanna make this for Christmas or New Years Cant wait to try it. Hi I want to make this recipe tonight for a party tomorrow. should I put the soda in now or wait until I serve it?